Fact Check: Are Most Gun Crimes Committed With Handguns? Sen. James Lankford said on NBC’s “Meet the Press” that at least three times as many crimes are committed with handguns than with rifles. Handguns are used in about nine times as many murders and eight times as many nonfatal violent crimes than rifles, shotguns, and other firearms combined. Lankford, R-Okla., pointed out Sunday the high proportion of crimes committed with handguns after “Meet the Press” host Chuck Todd pressed him on whether the AR-15, the weapon used in the Parkland, Florida, shooting, should remain classified as a rifle. “So there are three or four, five times as many crimes committed with a handgun than there are with a rifle. So we can have that conversation. But when you look at the statistics, many, many, many more shootings occur with a pistol than they do with a rifle,” Lankford said. His office pointed The Daily Caller News Foundation to the FBI’s annual Uniform Crime Reporting on firearms used in murders. By that measure, Lankford is right that handguns are used much more often than rifles. Handguns were used in 19 times as many murders than rifles were in 2016, according to the Uniform Crime Reporting data. Handguns killed nine times as many persons as rifles, shotguns, and other guns did combined. The type of firearm used was unknown for about 28 percent of all firearm murders. Firearms are the most common murder weapon, accounting for over half of the murders each year from 2007 to 2016. The FBI’s reporting shows that 11,004 of the 15,070 murders in 2016 were committed with firearms. Lankford did not limit his claim to murders, saying there are more “crimes committed” with handguns than with rifles. His statement holds true for guns used in other crimes. Handguns are vastly more common than rifles when firearms are used in crimes such as sexual assault, robbery, and aggravated assault, according to other federal data. 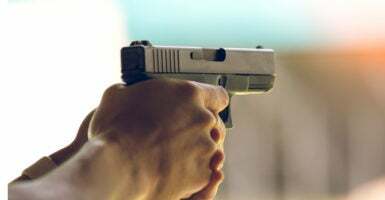 Estimates from the Bureau of Justice Statistics’ National Crime Victimization Survey show that handguns were used in about eight times as many nonfatal violent crimes than other firearms in 2011. Data on nonfatal violence by type of firearm after 2011 was not publicly available, but the Bureau of Justice Statistics told The Daily Caller News Foundation that there has not been a major change in the proportion of handguns used in nonfatal violent crime since 1994. Although handguns are more common in crime overall, rifles were used in many recent high-profile mass shootings. The gunmen in the Las Vegas, Texas church, and Orlando nightclub massacres used rifles. Gun control advocates argue for more restrictions on assault-style firearms, in part because they are so powerful. Bullets fired from an AR-15, the most popular rifle in the U.S., can do much more damage to the body than bullets fired a handgun. Federal law prohibits people under the age of 21 from purchasing a handgun from a licensed dealer, but 19-year-old Nikolas Cruz, the shooter in Parkland, was able to buy an AR-15 in Florida because it is classified as a rifle. “These guns are much more deadly than traditional bolt-action rifles or traditional shotguns, but they are regulated the same way,” Adam Skaggs, chief counsel at the Giffords Law Center to Prevent Gun Violence, told The New York Times. Others say that further restrictions on AR-15-style rifles won’t help curb gun violence because handguns are used in the vast majority of gun crimes. “Little wonder then that a 2004 study commissioned by the Department of Justice found that the federal ban [on assault rifles] didn’t lead to any decrease in gun crime or gun deaths. For starters, rifles, assault or otherwise, are rarely used in gun crime,” Adam Winkler, a constitutional law professor at UCLA Law School, wrote in a 2015 Los Angeles Times op-ed. Gun crime in the U.S. is “overwhelmingly handgun crime,” he wrote. Gunmen in other high-profile mass shootings used handguns, including the Charleston church and Fort Lauderdale airport shootings. 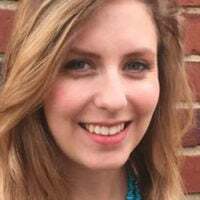 Emily Larsen is a fact check reporter for the Daily Caller News Foundation.